The Supreme Court will decide the faith of a pastor who allegedly flogs his church members. He is the General Overseer, Christian Praying Assembly (CPA), Rev. Chukwuemeka Ezeugo, a.k.a Reverend King. He is challenging the judgement of a Lagos High Court sentencing him to death by hanging. His challenge which has gotten as far as the Supreme Court was on Thursday, fixed for February 26, 2016. The apex court presided over by Justice Walter Onoghen adjourned for judgment after entertaining arguments from counsel to prosecution and defence in the matter. Lagos State Attorney-General and Commissioner for Justice, Mr Adeniji Kazeem, who appeared before the Supreme Court alongside the Director of Public Prosecution, Mrs Idowu Alakija and other Senior Counsel in the State, urged the court to dismiss the appeal and uphold the judgment of the lower courts. Rev. King was arraigned on September 26, 2006 on a six-count charge of attempted murder and murder. He pleaded not guilty to the allegation but was sentenced to death by the then Justice Joseph Oyewole of Lagos State High Court, Ikeja, on January 11, 2007 for the murder of one of his church members, Ann Uzoh. The Lagos State Government had said that the convict poured petrol on the deceased and five other persons and that Uzoh died on August 2, 2006; 11 days after the act was perpetrated on her. 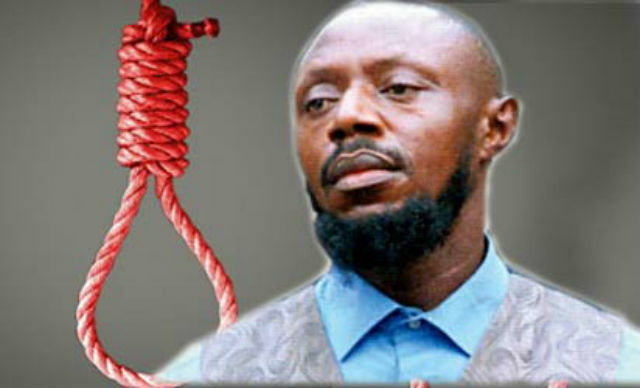 Ezeugo was convicted and sentenced to 20 years imprisonment for the attempted murder and death by hanging for the offence of murder. He, however, challenged the verdict before the Court of Appeal in Lagos, but the appeal was thrown out, making him head for the Supreme Court.